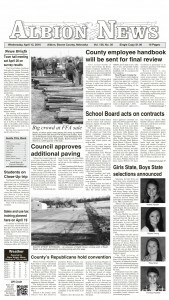 A new special event, the holiday “Light Parade,” will be held in downtown Albion this Thursday night, Dec. 3, at 6 p.m. The parade is open to everyone. 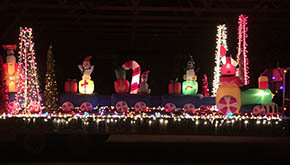 Build a float, light up your vehicle or walk with glow sticks. The parade route will be Fifth Street from Market to Church, Church Street from Fifth to Third, from Third Street back to Main, and Main from Third to Fifth. Since cold weather is expected, everyone is invited to back their vehicles into parking spaces and watch the parade from there. – Saturday, Dec. 5 – Super Shopping Saturday & Free Kids Movie, 10 a.m. Shopping bags handed out at the Mini-Park. – Thursday, Dec. 10 – Live Animals at the Mini-Park & Polar Express Bus, 5:30 to 7:30 p.m.
– Thursday, Dec. 17 – Hayrack rides at the Mini-Park, 5:30 to 8 p.m.